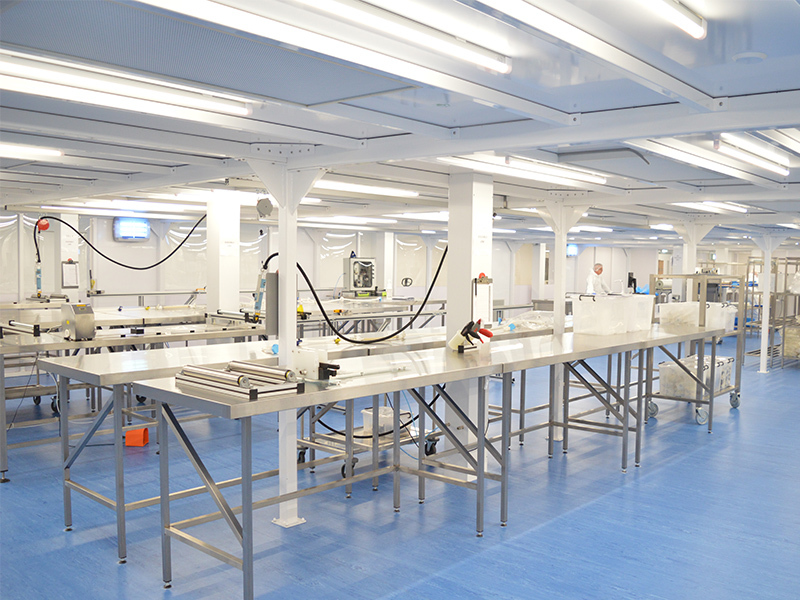 In a cleanroom, normally nine validation locations are required, usually numbered consecutively in rows, for example, locations: 1-3 (row 1), 4-6 (row 2), 7-9 (row 3). Particles Plus handheld particle counters allow you to change the location order, to provide the quickest route through the cleanroom — increasing efficiency and reducing turbulence. Auto advance allows the Validation Technician to progress automatically to the next programmed location and a delay can be configured to allow the technician time to move away from the unit, once it is in position to prevent contamination of the counts. 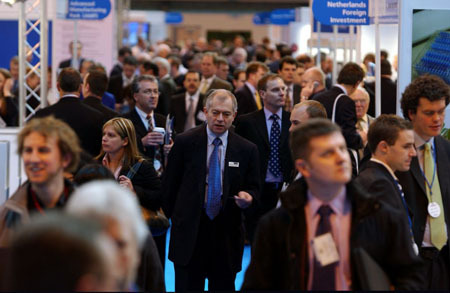 “Our technicians demonstrate these best practice methods to our clients, as ideally organisations should use a particle counter to perform regular checks to ensure the cleanroom is performing to its ISO class parameters,” said Jackson. Graphs are generated as a visual indication of the history of particles per second in a graph with p/s (y axis) against time (x axis). Spikes can be annotated and comments saved, ie ‘door opened’ or ‘identified broken seal’ for full transparency. It is the technology contained inside the Particles Plus units that is of particular note. Upon entering a cleanroom’s cubic volume, the unit will calculate how many validation locations and the sample size are required to meet ISO 14644 requirements (GMP or Federal Standard can also be calculated), as well as suggesting the particle sizes to be considered. Up to 50 user-defined recipes can be set, with different sample sizes, delays, location times, etc. 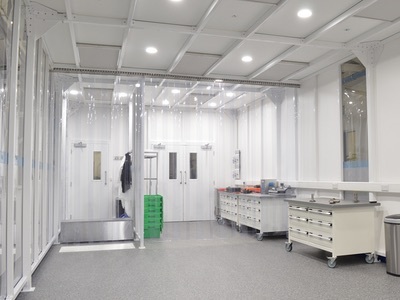 For Connect 2 Cleanrooms, these are used for saving different locations for clients for whom validations are performed regularly. There is also the choice of metric or imperial measurements for the raw data to be extrapolated to, giving them international appeal. With a number of data extraction options, the data flow can be driven by the organisation’s desired communication protocol, rather than limited to the capabilities of the device. Modbus TCP/IP is available as standard, (Modbus 485 and 232 are optional extras), whereas only Particles Plus units offer wireless transfer through Wi-Fi (optional), as well as offering USB to PC or to USB memory stick. The particle counters can hold 45,000 recorded data records simultaneously, which is enough for continuous particle counts (series of 1 minute samples taken with no break in between) to be run for 33 days without having to download data. 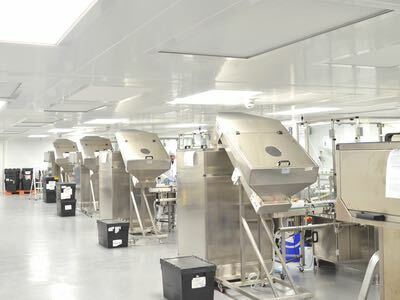 For its busy installation and validation team, this capacity means Connect 2 Cleanrooms’ client data is protected and not in danger of being overwritten prior to it being downloaded. Data is time stamped to allow full traceability following extraction. Patented technology offers concurrent interface sessions through the use of multi-core processors, which safeguards data logging, so there are no interruptions to sampling. Also patented is the remote diagnostics and configuration technology, giving the option to provide quick fixes — such as machine data, pump data, laser run time, etc — without the need to send the unit offsite. 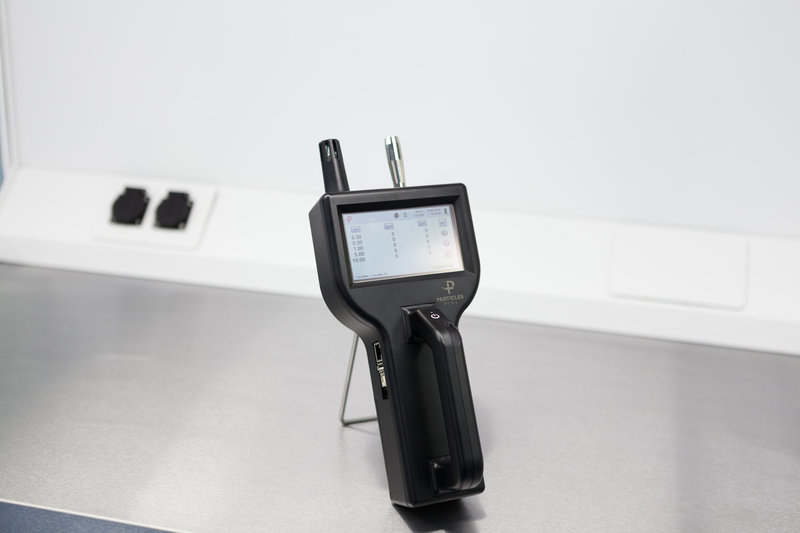 The performance of the smart lithium ion batteries can also be analysed through the remote diagnose tool. After a full charge, the batteries can last 10.5 hours of continuous sampling. The unit illustrates how much additional battery life can be gained by making these changes. Welcome news for operatives reliant on battery power performance to prevent them from requiring a mid-validation power break. The counters feature icon driven menus and a large colour 4.3” display with a touch screen interface that today’s users expect from devices. The comfortable handle, allows ergonomic control and the durable case features laser cut foam to protect the unit during frequent transit. It houses accessories such as the purge filter, which allows for the unit to be cleaned following use in dirty or toxic environments, and the temperature and humidity sensor. 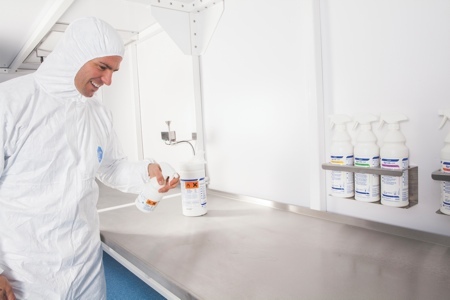 An integrated HEPA filter on the extract ensures no particles are introduced back into the cleanroom during sampling. Spot monitoring is facilitated through the Real-Time Meter feature, meaning if a broken seal or perforated filter is allowing contamination to be introduced into a cleanroom, the units help users to pinpoint contamination sources through a visual real-time graph with selectable sensitivity adjustment showing peaks of particle counts per second during sampling. The handheld units can also be used as a continuous monitoring system and can be connected to a network and give them an IP address, which allows live data to be streamed to the PC desktop application or viewed remotely from any internet browser. 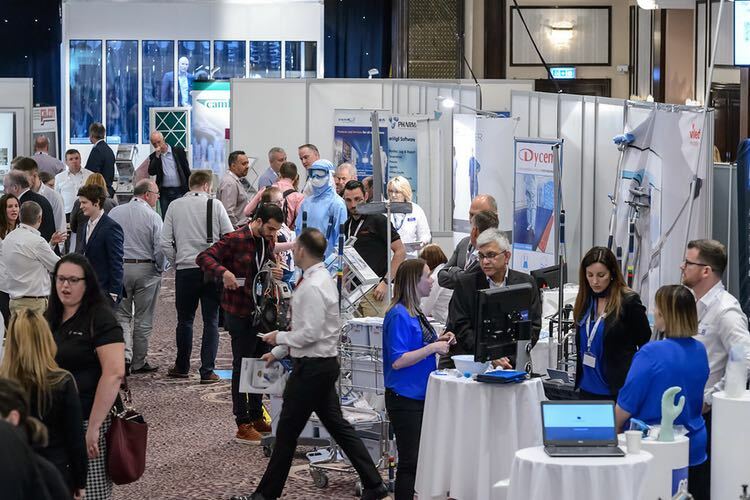 “This gives organisations the reassurance that its cleanrooms are still achieving the standards they are built to meet, in between validation visits,” concludes Jackson.